A Supreme Court bench comprising of Justice Dipak Misra and Justice U.U. Lalit, today, ordered the Attorney General of India to inform the Court regarding the implications of Section 7A of the Juvenile Justice (Care and Protection of Children) Act, 2000. After 24 years of the incident, the apex Court appraised that Convict was a Juvenile at the time of incident. Dealing with him now, when he is 40 years old, is the issue. Section 7A of the JJ Act provides for determining the juvenility of an accused or a convict. It says that if the Court finds the person to be a juvenile on the date of commission of the offence, it should forward the juvenile to the Board for passing appropriate order. In such a situation, the sentence if any, passed by a court shall be deemed to have no effect. The Counsel for the appellant, Mr. K.T.S. Tulsi submitted that if a man of 40 years or 45 years is sent for a punishment under Section 15, it will be an exercise in futility and, in fact, it will be travesty of justice. The appellant, Pappu, was a juvenile on the date of occurrence, as indicated by his school leaving certificate. He was born in July, 1974, while the incident occurred in December 1990. 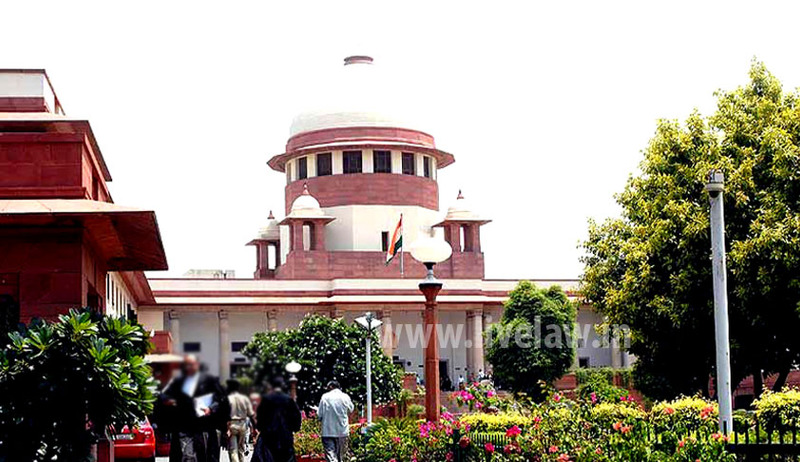 The Supreme Court, in August, had directed the District and Sessions Judge, Roorkee to conduct an inquiry under Rule 12 of the Juvenile Justice (Care and Protection of Children) Rules, 2007, with regard to the juvenility of the appellant and submit a report within 30 days. The report concluded that on the date of the criminal occurrence, he was 16 years 5 months and 5 days old and hence a juvenile as per JJ Act. Counsel for the appellant, Mr. K.T.S. Tulsi submitted that after declaring the appellant as a juvenile he is required to be sent to the Juvenile Board for appropriate orders. It was also urged by him that as per Section 7A(2) of the JJ Act, the moment an order declaring him a juvenile is passed and the matter is sent to the Juvenile Board for appropriate orders, the sentence, if any, passed by a Court shall be deemed to have no effect. He further submitted that going by the letter and spirit of Section 7A, the Court is obliged under the law to declare the trial against the said accused as vitiated and send the matter for denovo trial before the Juvenile Board. He also urged reconsideration of the decision rendered in the care of Jitendra Singh vs. State of U.P. [(2013) 11SCC 193]. Mr. Aggarwal also felt that if he is sent to a Special Home or Observation Home by the Juvenile Board, he would be absolutely misfit there because the Observation Homes are meant for young juveniles in praesenti. The matter will come up for hearing tomorrow.